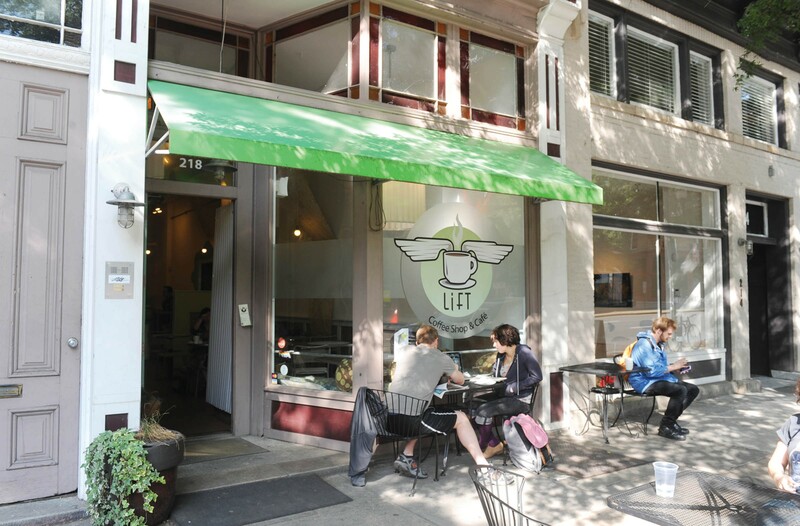 Lift Coffee Shop. Three words: Joseph Gordon-Levitt. OK, and some other familiar faces, too: Sally Field, INXS, Susan Sarandon, Billy Campbell, Australian band Jet, David Straithairn, Joseph Cross, Chan Marshall, aka Cat Power, and Tommy Lee Jones all have stopped in for a cup. In February, it was James Willstrop, the No. 1 squash player in the world.